Skills are central to Peru’s future prosperity and the well-being of its people. Peru's economic development to date has largely been driven by abundant natural resources and high commodity prices in the global market. The goal for the future is to ensure productive diversification, expand export capacity and take part in global value chains with more complex goods and services. Boosting the development, activation and use of skills will be key to achieving these ambitions. As demonstrated by the Survey of Adult Skills (PIAAC), which Peru is currently deploying, higher skills levels are not only associated with higher productivity and earnings, but also with other important outcomes, such as better health, higher levels of trust and greater propensity to contribute to society through volunteering. 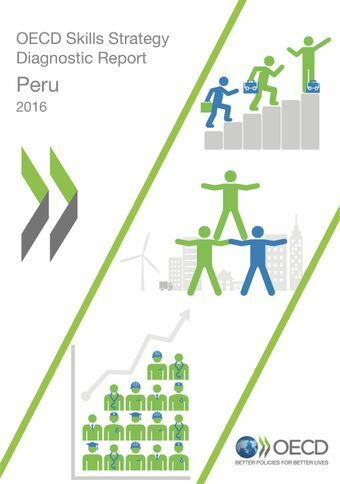 The OECD Skills Strategy Diagnostic Report: Peru sets out nine skills challenges for Peru. These challenges were identified through two interactive workshops with stakeholders as well as through analysis of the OECD and other data sources. The first six challenges refer to specific outcomes across the three pillars of developing, activating and using skills. The next three challenges refer to the “enabling” conditions that strengthen the overall skills system.